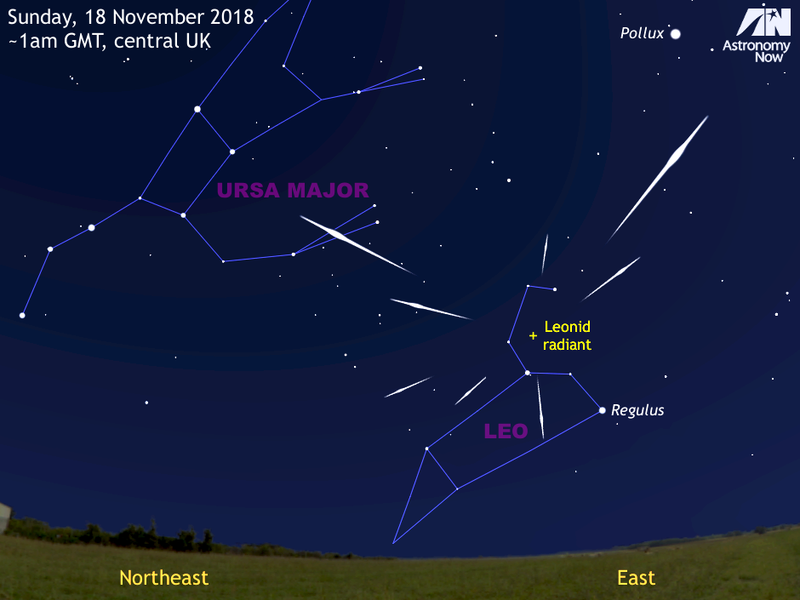 The best prospects for observing a meteor from the Leonid shower occur around the maximum, which is predicted to arrive around 1am GMT on Sunday, 18 November 2018. 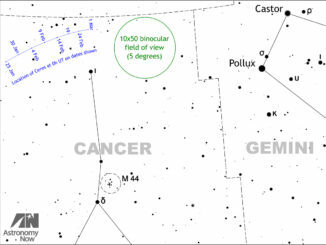 However, the meteor radiant (the region of sky from which they appear to originate) does not rise until after 10pm local time. The 9-day-old Moon sets about the time of the shower’s peak in the UK, so prospects are good. 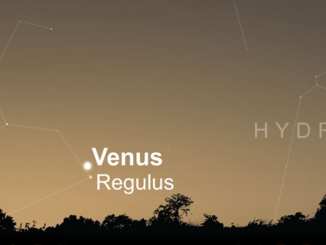 Find a safe place as far removed from light pollution as you can soon around midnight that offers a clear view of the eastern sky, directing your gaze halfway from horizon to overhead. Around 10 swift shooting stars per hour are expected. AN graphic by Ade Ashford. 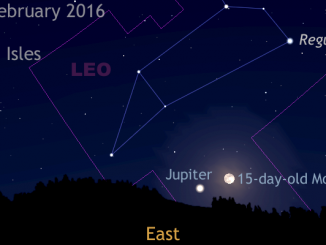 In the early evening of Tuesday, 23 February, the rising waning gibbous Moon — one day after full Moon — lies just 3½ degrees from magnitude -2.5 planet Jupiter low in the eastern sky. Jupiter is closest to Earth on Tuesday, 8 March, so now is the time to get acquainted with the solar system’s largest planet.